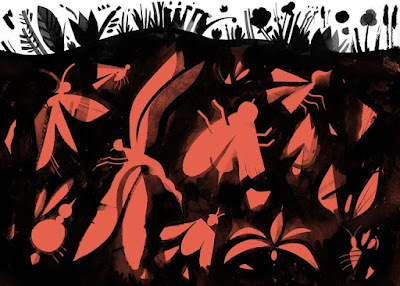 If we lose the insects, then everything is going to collapse. I have been listening to a rather compelling book on tape, as I drive around in my car (contributing to the problem of global warming, I know, even as I drive). Elizabeth Kolbert's book, The Sixth Extinction, for which she won the Pulitzer Prize for general nonfiction in 2015, is a powerful warning to human beings. So, too, is The New York Times' editorial, printed on October 29, 2017, "Insect Armageddon." Our human world is built on bugs! We are not independent of the World of Nature. We are radically dependent on it. We had better start realizing our dependence on the World of Nature. We need to stop acting like we can do whatever we want, and that we are able ignore the requirements of the Natural World. You don't like the idea that everything we do depends on bugs? Get over it. That happens to be the truth!